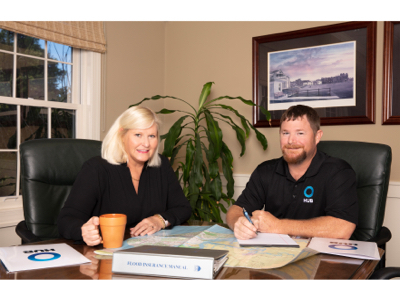 “We are in the business to serve, we just happen to build beautiful custom homes,” proclaimed Doug and Deb Durrant, owners of Blue Ocean Luxury Homes, LLC, a franchise of Arthur Rutenberg Homes. This statement rings true in all practices performed by this dynamic duo as they truly make customer service a core value of their company. 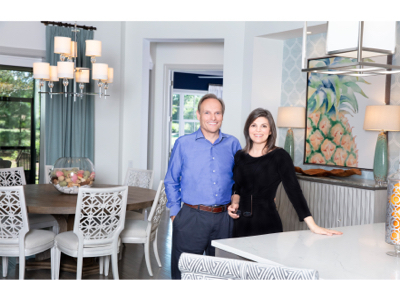 In fact, it was the idea of running a “Blue Ocean” level of quality service that drove Doug and Deb to want to be a franchise of Arthur Rutenberg Homes. Graduating from the esteemed Brigham Young University’s construction management program in 1988, Doug was recruited from college by a regional homebuilding company in Florida. He spent the next 20 years with this company, learning all phases and areas of the homebuilding industry and bringing the dream of homeownership to thousands of families. It was during this time that he found Arthur Rutenberg Homes, which was a valuable name in Florida amongst home builders. When the opportunity to partner with Arthur Rutenberg Homes manifested itself, Doug quickly jumped on board. Over her career, Deb has been part of several ventures and has more than two decades of sales and marketing experience. With her extensive experience in customer service, Deb’s goal is to provide clear expectations, predictability of cost, and transparency in communication. She brings warmth and understanding to the design and build process by offering exceptional customer service. At Arthur Rutenberg Homes, standards are far above standard. They have had decades to hone their wisdom and give their clients the absolute best experience possible when building one of their beautiful homes. They understand that building a home can be a complex undertaking, but they are committed to making the process breathable and personable. Always know that when building an Arthur Rutenberg Home, the four corners of your establishment are built on the four corners of their company: Design, Craftsmanship, Service, and Responsibility. They set the bar high to give their clients the best home possible. This is quality you can see, touch, and understand. They invite you to come see their designer show home in Berkeley Hall and experience an Arthur Rutenberg Home firsthand. There you will meet their amazing staff and get a tour of the beautiful Monceau Model. Kevin Lapinski is from Atlanta, Georgia, where he worked over 12 years on the front lines, developing the construction, quality control, estimating, architectural, and customer care departments for a large home builder, averaging close to 700 closings per year. At Built Right Homes, he uses his 22 years of combined experience to oversee every detail of each project and to ensure we exceed our customers’ expectations—providing the “WOW” factor in every home he builds! Built Right Homes is a family owned and operated business that prides itself in quality craftsmanship of custom homes. We take your vision and build your dream home to fit your lifestyle. Here at Built Right Homes, we believe the client comes first. Building your dream home or renovating your current one shouldn’t be stressful. 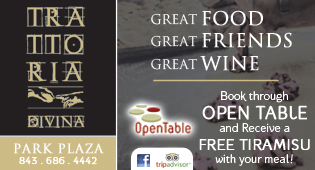 In fact, we believe it should be one of the most enjoyable and rewarding experiences of your life! Whether you are creating your first home or finally getting around to making your dream home a reality, Built Right Homes is here to guide you through the process and bring your vision to life. Visit us today at www.brhbluffton.com, and let’s see what we can build together! 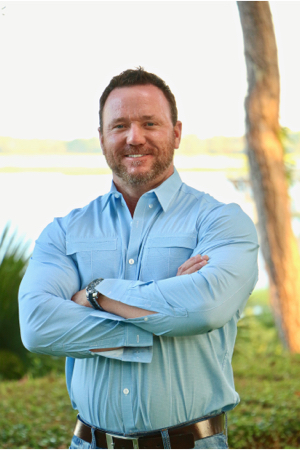 Jordan Young is the director of operations for Coastal Rentals, LLC, a long-term property management company servicing Hilton Head Island, Bluffton, and Okatie, South Carolina. After receiving a bachelor’s degree in public relations and marketing from Georgia Southern University, Young moved to Bluffton and has been in the real estate field for over 10 years. She is currently a member of the Low Country Property Management Association (LCPMA) and Property Managers Council. 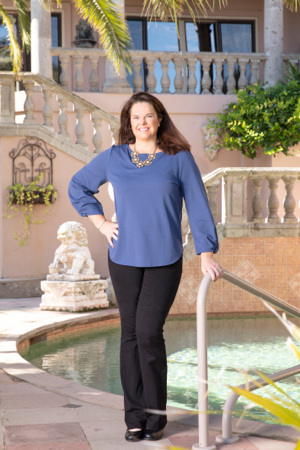 Before becoming a property manager with Coastal Rentals, she was an advertising representative for The Island Packet as well as the marketing coordinator for a local real estate company. Under the management of Jordan Young, Coastal Rentals has been voted Best Property Management and Rental Company 2014-2017. Their team of professionals consistently goes above and beyond to deliver the most seamless, stress-free experience for homeowners. If you want to maximize the returns on your home or investment property you know who to call! When you’re ready to undergo major renovations, additions, or updates to your home, there are plenty of dedicated professionals on Hilton Head Island you can turn to. But before you call your contractor, ask yourself one important question: What kind of impact will this have on my home’s value, and how can I maximize the return on my home renovation investment? To answer that question, you’ll need a Realtor. And with 25 years of experience, Jeff Hunt has the answers you’re looking for. Having bought, sold, leased, managed and invested both commercial and residential property, he’s seen the market from all angles and knows exactly where to put your money and where it will help you most. “In the kitchen, for example—it’s a much better investment to update versus undergoing a full-scale remodel,” Hunt said. Changing dated hardware, matching appliances and adding a backsplash are simple updates that do wonders for a home’s value. He recommends a similar strategy in the bathroom, re-caulking and updating countertops and vanities. Hunt also recommends boosting curb appeal through a few simple fixes, such as refinishing the front door, adding some color to your front landscaping, and changing dated or mismatched light fixtures. 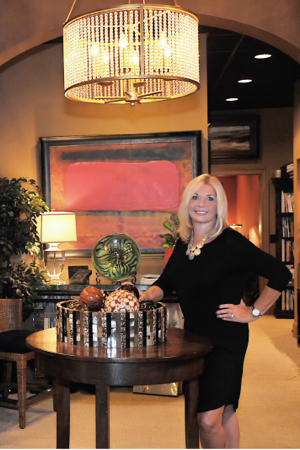 Kelley Designs, Inc. is an award-winning design firm specializing in residential interior design for over 35 years. 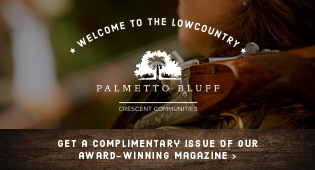 Our showroom and resource studio is located on Hilton Head Island, South Carolina. In addition to our interior design services we provide in the Lowcountry and neighboring coastal communities, we have completed projects in New York City, Chicago, Beaver Creek, Toronto, and Maui. Whether a simple renovation or the complete design, specification, and installation of a custom new home, we pride ourselves in providing unique, distinctive, and personalized decor for each project. 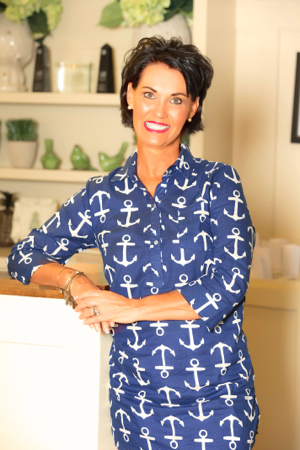 Principal and owner Debbie Kelley is a West Virginia native who has made Hilton Head Island her home since 1980. Her extensive design experience, combined with her engaging and easy-going personality, has helped her be a leader in the field. Kelley’s projects have taken her throughout the United States and Canada and have been featured in numerous trade and design magazines. Project Manager Gregory Vaughan is a Virginia native and Savannah College of Art and Design alumnus. He has been honing his eclectic and diverse design style and building a loyal client network ever since graduating SCAD in 1990. He also writes a monthly column on design trends for the local newspaper. 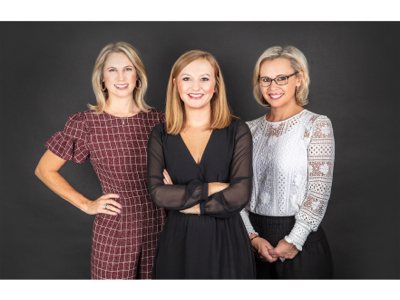 Lamb & Gray is comprised of three talented, accomplished women: Amanda Lamb (AIA, NCARB), April Murray Gray (AIA, NCARB) and Lydia DePauw. Having earned their degrees from esteemed universities, worked for award-winning firms, earned their share of awards, and designed not just dwellings but timeless structures, each member of Lamb & Gray has made her mark in the architectural world. And each intends to make her mark with you. “We want to be producing a body of work that we can be proud of and that not only complements, but enhances the lives of our clients,” Gray said. “I push the boundaries of classical design to give a new perspective to classical concepts,” Lamb said. “I am purposeful with my design and, because of my commercial background, well-versed in guidelines and codes,” Gray added. “I am fourth generation with this industry and enjoy putting the pieces of the puzzle together,” DePauw said. For more than 140 years, BB&T’s local approach to banking has kept us close to our clients and the communities we serve. 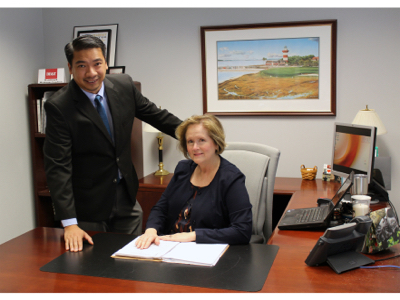 Susan Goodridge and Leo Evangelista understand the local market, which helps make buying a home easier. So, when you’re looking to buy, build, renovate or refinance a home, look first to our local lenders. Our door is always open to share our expertise and help our clients open doors to their dream home. Experience the difference with our local lenders backed by the resources of one of the nation’s largest financial institutions. With Southern Grace Interiors, lead designer and founder Mikaelah Seifrit and her team hope to make professional interior design accessible to nearly everyone. The company was established on the premise that great design should come with transparent pricing, honest designers, and spectacular results. The same is true today, nearly three years later. When new clients call or email the team at Southern Grace Interiors, they can expect to be met with politeness, professionalism, and follow-through. From the big picture, to the details, the talented team of designers handle as much, or as little, of each project as preferred by the client. Some clients want only a consultation, at which a great deal of advice and direction is shared, and then they have fun implementing the ideas themselves. This is an affordable way to get ideas for how to visually pull their home decor together. Full service design is also available by a talented and qualified team of professionals. This involves furniture and accessory selections and installations, as well as space planning, remodeling insight, and even project management. Many clients in the Lowcountry are building new homes, and find themselves overwhelmed with the selection process and design decisions that need to be made. Southern Grace Interiors can help with this process from start to finish. Seifrit and her team will guide clients in choosing the flooring, tile, paint colors, lighting, cabinetry, and more that customize their house and turn it into their own unique home. Transparent resourcing of all home decor means that clients always know exactly how much they are paying and where their products come from, with no designer markup! Southern Grace Interiors designers always show their clients where their money goes, with no surprises. The clients simply pay a reasonable and fair hourly rate for the time spent by the Interior Design Team working on their home design project. Every client is different—in style, budget, and personality. The primary goal at Southern Grace Interiors is to create the home of their client’s dreams—creating a cohesive, beautiful, inviting space that reflects the client’s taste and fits their budget in an elevated and stylish way. On the Southern Grace Interiors website, visitors will find detailed information about each of the designers, a full design gallery of completed home projects, as well as a blog for great design inspiration! 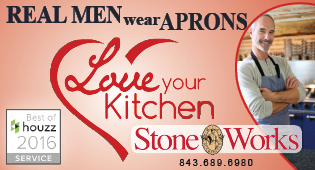 Visit www.SouthernGraceInteriors.com for more information. With over 22 years of experience in the flooring industry, Kenny Nix had a vision: a retail location where he could offer his clients the very best customer service as well as flooring, tile and bathroom design for every budget. He had already given the business a familiar, local name and created his logo. He’d also spent years researching SEO and educating himself on marketing and branding strategies. Now all he needed was someone who shared that same vision and who was willing to take a leap of faith. That person was Robbie Taylor. Taylor brought to the table his impeccable managerial skills, sales expertise and wholesome business values. Much like Nix, he was loved, relatable and well respected in the community. The two men decided to combine forces and see what the future had in store for May River Flooring Company. Business partnership is a little like marriage. Each individual brings with them unique personalities and various gifts. That being said, it’s important for each partner to concentrate on what their strengths are in order for the business to thrive. Nix and Taylor are like yin and yang in that they each have an assigned role within the company. Defined responsibilities create balance and harmony, which in turn makes for a pleasurable experience for all involved. Together, they had over 40 years’ experience combined and a business model that, if properly executed, would stand apart from all other flooring companies. Nix and Taylor both know that the selection process can be overwhelming for people when building or remodeling a home. Their guidance and knowledge of timeless designs and current trendy decor are another reason many turn to them for advice and insight. Customers and builders have to be mindful of cost, texture, color and durability, just to name a few. Lifestyle plays a huge role in flooring materials choices. Dogs, kids, oceanfront properties are all things to consider when making a selection due to wear and tear over time. Also, keep in mind the possibility of resale. While home decor can really show off your personality, you should recognize that not everybody likes a shiny, bright pink glass niche in a shower with black subway tile. Both Nix and Taylor have an eye for detail and exquisite taste. If HGTV and Pinterest have your head spinning in a million different directions and you find yourself unable to narrow it down, this is where they really step in and listen to your wants, likes and needs. Their goal is to take away the stress of the project and instead make it enjoyable and fun, which is truly how the process should be. May River Flooring Company is here to serve you and ALL of your flooring, carpet and tile needs. Meet Benjie Ehlers and Kristin Hayrinen. These two insurance professionals have been living in the Lowcountry and working in the insurance industry for more than 50 years combined. Each has deep knowledge in their specialty field—personal insurance—and together, they are the solution to any personal insurance problem you may have. With HUB International’s best-in-class insurance carrier representation and a national field of topnotch insurance risk managers, consultants, and specialists behind them, Ehlers and Hayrinen are positioned to provide a comprehensive range of options for their clients. At HUB, the client is the center of everything we do, and every policy is tailored specifically to the client’s needs. The process begins by getting to know and understand the client and what is important to them. Ehlers and Hayrinen take those priorities and match them with the best insurance company partners available. The discussion continues as they tailor the coverage to meet the client’s objectives. Throughout, they take the time to explain complex insurance jargon and concepts so the best decisions can be made by the client. From the time coverage is effective until the policy renews, the client is in expert hands. As personal insurance advisors, Ehlers and Hayrinen are supported locally by a large group of professional client service managers who take care of the clients with great attention to detail and a sense of urgency. Come meet our advisors and see what sets HUB apart. 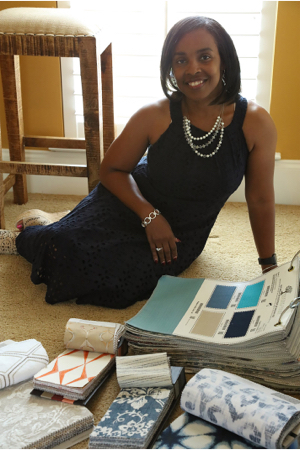 Saudah Muhammad is the proud owner of the Hilton Head/Bluffton, South Carolina area Decorating Den Interiors, which opened for business on July 28, 2017. Born in Newark, New Jersey, she relocated to South Carolina in 1978 and has been a part of the Hilton Head community since. A graduate of Hilton Head Island High School and the University of South Carolina, Muhammad retired from the United States Air Force in 2016 after 20 years of dedicated service. Muhammad began her Air Force career in 1988, serving as a personnel specialist. After a brief departure to complete her nursing degree, she returned to the Air Force as a commissioned officer, serving in a variety of medical positions, culminating her career as flight commander of the base’s family health clinic, where she was responsible for the healthcare of all assigned active duty members and their families. After retirement, Muhammad looked to continue serving her country as a civil servant, working for the Federal Bureau of Investigation (FBI), but turned down the offer and decided that she was ready to come back home after 29 years of being away. Muhammad was always interested in interior decorating. After many years of moving around and having to reestablish a home, she honed her skills and talent and was complimented often. 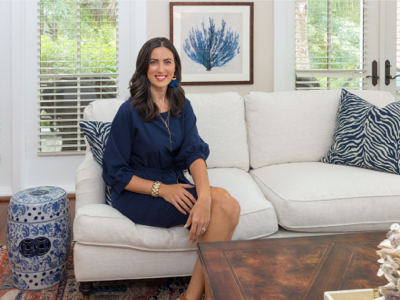 Once she was settled in Bluffton, through research, she happened upon Decorating Den Interiors, studied the company and loved what she learned. Through strenuous projects and training, Muhammad finally took her dream of interior decorating, stepped out on faith and opened Decorating Den Interiors. Decorating Den Interiors works exclusively from the client’s home and provides an array of services to include home staging, custom draperies, paint consultations and interior décor from start to finish (including flooring, furniture, artwork, lighting and accessories). Muhammad works as your project manager, decorating in a variety of styles from traditional to contemporary. Muhammad is the mother of three sons, John Jr., Rashad, and Jamel, ages 28, 25 and 24. She is the proud grandmother of one-year-old princess, Lilliana. Muhammad and her husband John have been married 25 years. John, an Air Force retired veteran, is the proud owner of College HUNKS Hauling Junk & Moving. 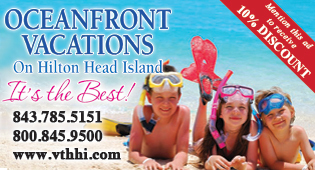 Together, they enjoy family trips, boating, and experiencing new things. They both love spending time with family and friends. 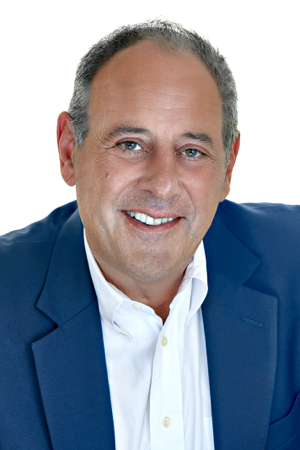 Michael Saba opened Artisan Homes – Hilton Head, LLC in 2017. 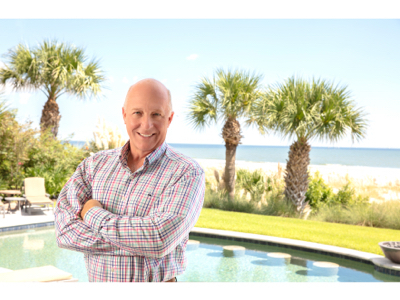 His focus is on building the finest quality new custom and semi-custom homes on Hilton Head Island and in Bluffton, South Carolina. With over 30 years of new homebuilding experience and long-term partnership with the trades and suppliers, Artisan Homes is on track to becoming the best local builder in the area. In 2007, Saba and his wife Jill moved to Hilton Head Island, where he became the Southeast Coastal Division president for a top ten national homebuilder. That experience and talent is now being utilized in building the highest quality and finest new homes on Hilton Head Island. In addition, Saba served two terms, in 2016 and 2017, as president of the Hilton Head Home Builders Association. Artisan Homes is active and has sold and closed the first two homes in Indigo Run with new house starts coming soon. Two homes are under construction at Palmetto Hall, which will be ready for delivery in October and November. Artisan Homes has many more home sites at Indigo Run and Palmetto Hall and will be starting additional new homes monthly. Each home is professionally designed and built with the finest materials, workmanship, quality and functionality. We welcome you to experience the luxury, quality and lasting value of an Artisan Home. Ugly Duct Cleaning has been family owned and operated throughout the Lowcountry for the past 11 years. Jim Woodall (owner)and Jeremy Modzelewski (managing partner) have over 20 years of experience providing essential indoor air quality locally. Ugly Duct Cleaning takes pride in providing professionalism, honesty, and complete transparency within the process. “You should see what you’ve been breathing” has been our slogan since day one, offering before and after pictures of your air ducts for your records. Ugly Duct Cleaning uses only the latest technologies and advancements to provide essential indoor air quality. From the beginning of the process to the final handshake, we strive to make your entire experience pleasant and worry free. Dryer vent cleaning is an extremely important aspect of our business. We have taken tremendous pride in familiarizing ourselves with industry codes, which include dryer vent repair as well as replacement vents to ensure your dryer works more efficiently and to prevent fires associated with dryers. We provide both commercial and residential service for both air duct cleaning and dryer vents.